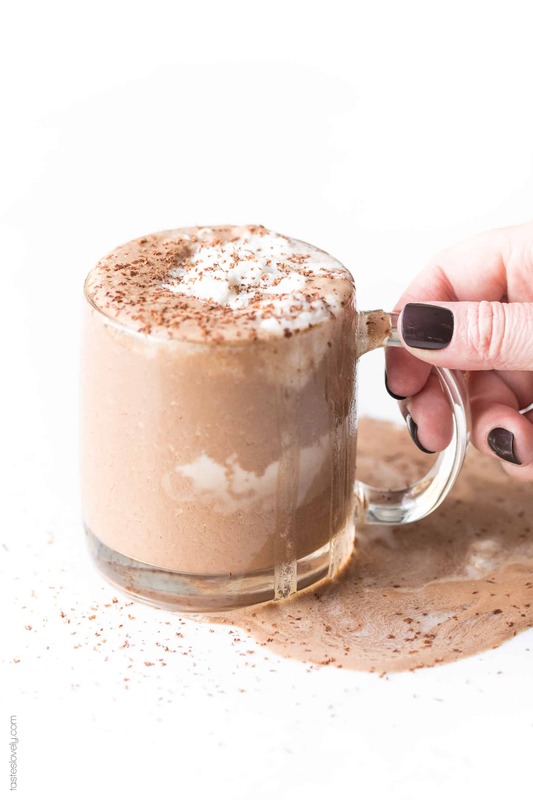 Healthy Paleo Hot Chocolate – made with 5 ingredients in the microwave with almond milk and sweetened with maple syrup. Paleo, dairy free, gluten free, refined sugar free, vegan, clean eating, healthy living, real food. We’ve put up our Christmas tree. Our house is decorated with lights. We hung up our stockings, including our newest one for baby Ryan this year. It’s really feeling like Christmas. Which has me craving hot chocolate, coziness, and holiday movies. And not just any hot chocolate. 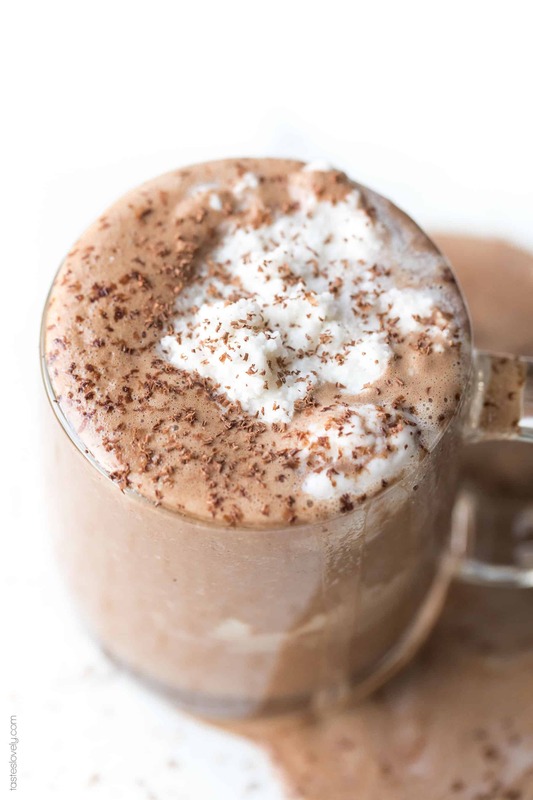 My beyond delicious, healthy paleo hot chocolate. 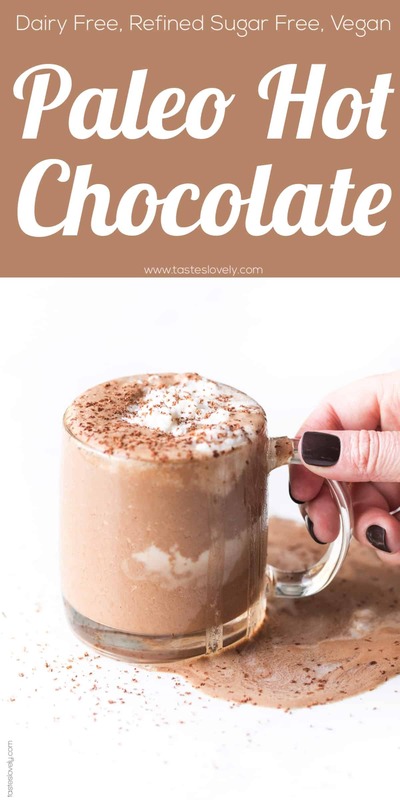 This hot chocolate is made with a very essential, secret ingredient that I didn’t find in other paleo hot cocoas. Cocoa butter! The rest of the ingredients are very simple. Almond milk (I prefer homemade, but store bought works also), cocoa powder, maple syrup, and a pinch of kosher salt. But use what you have. You can substitute any non dairy milk of your choosing. Or sweeten this with honey, date paste, or coconut sugar. 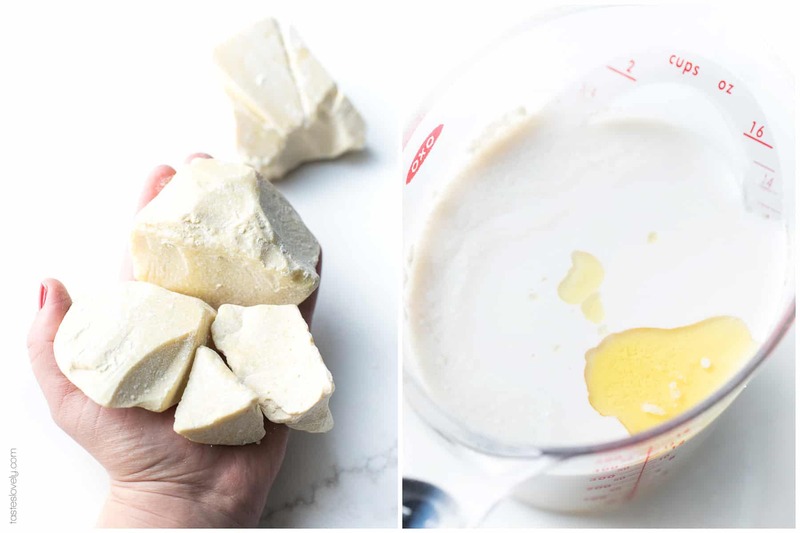 To keep this simple I heat up the almond milk and cocoa butter in the microwave. The stove top works as well. 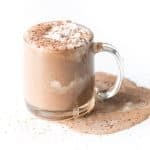 To make sure the cocoa powder gets blended fully, I like to combine it in the blender over low speed for just 30 seconds. 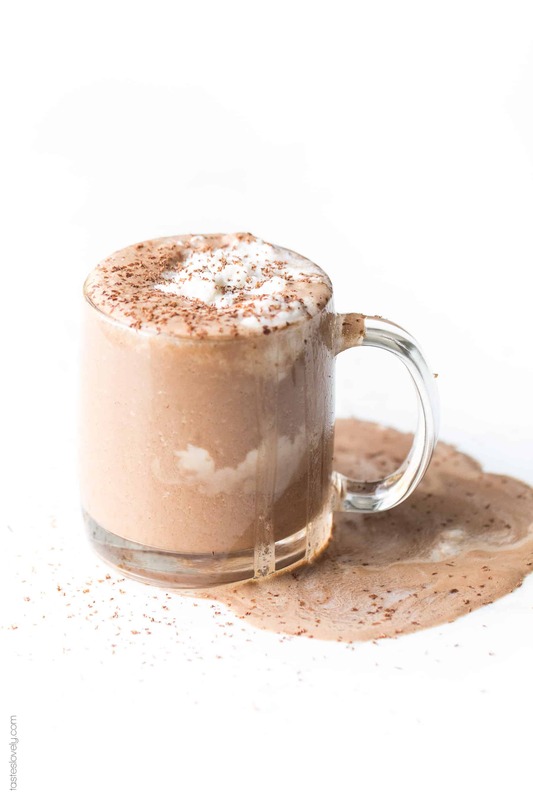 The resulting paleo hot chocolate is rich, decadent, velvety, and everything you want in a hot chocolate. It’s almost like a sipping chocolate. Top it with some coconut whipped cream and you have the perfect warm treat for cold winter nights around the Christmas tree. Enjoy it guilt free since it is so healthy! Paleo, dairy free, refined sugar free, gluten free, vegan, clean eating, healthy living, real food. 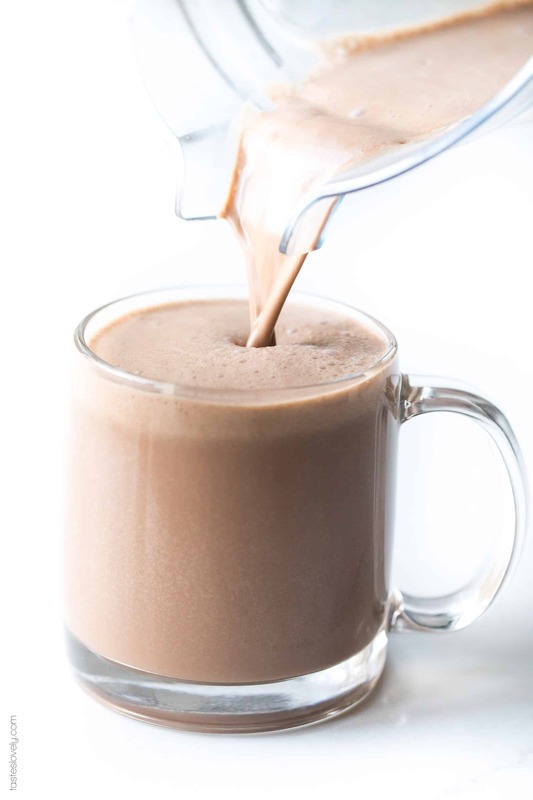 Heat the almond milk and cocoa butter in a microwave safe container for 3 minutes. Serve warm, topped with coconut whipped cream. If you don’t have cocoa butter, you can substitute coconut oil! Use refined coconut oil if you don’t like the taste of coconut.